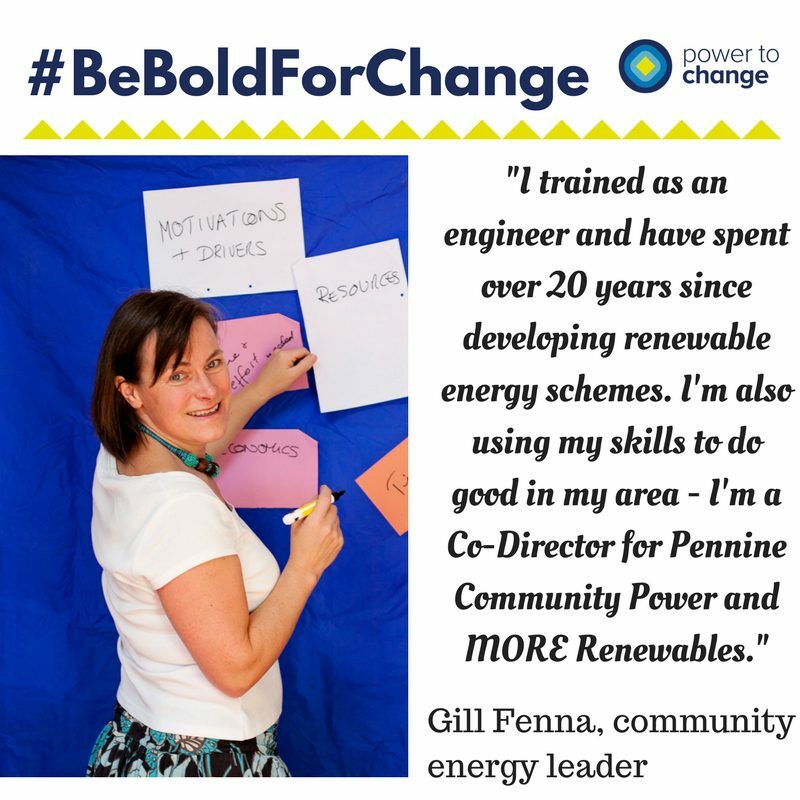 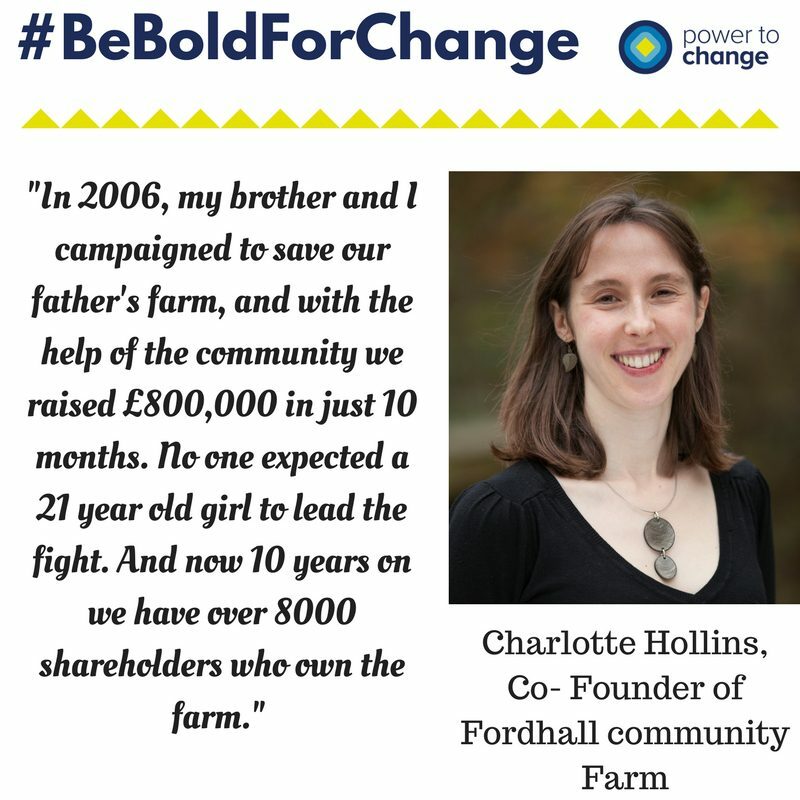 Over the last few weeks, we’ve been capturing stories from women involved in community business, to celebrate their achievements, and inspire other women to #BeBoldForChange, this year’s theme for International Women’s Day. 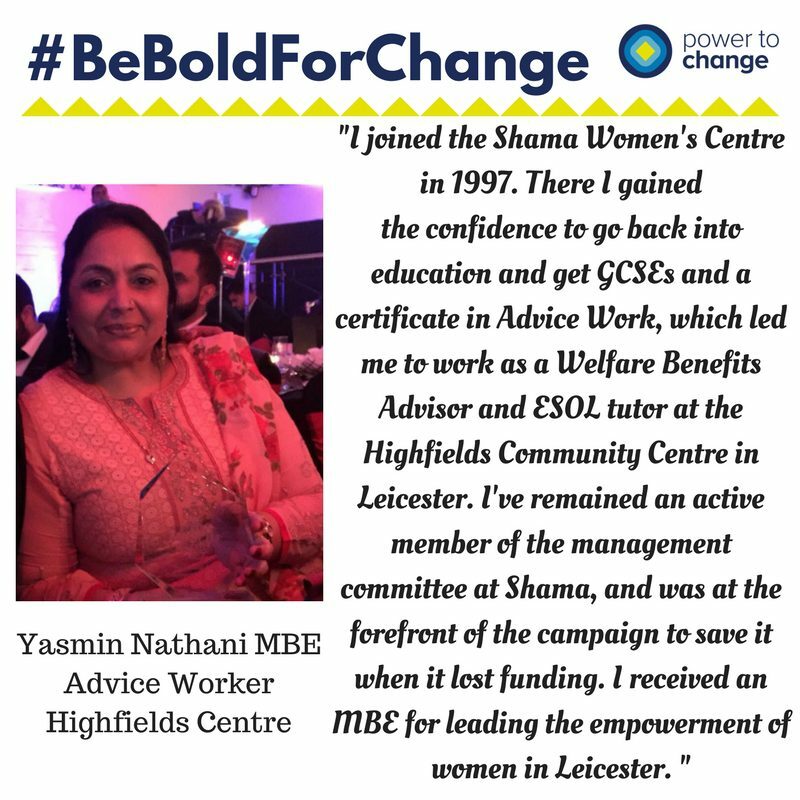 Below you can find some of these stories, and you can find all of them on our #BeBoldForChange Facebook album. 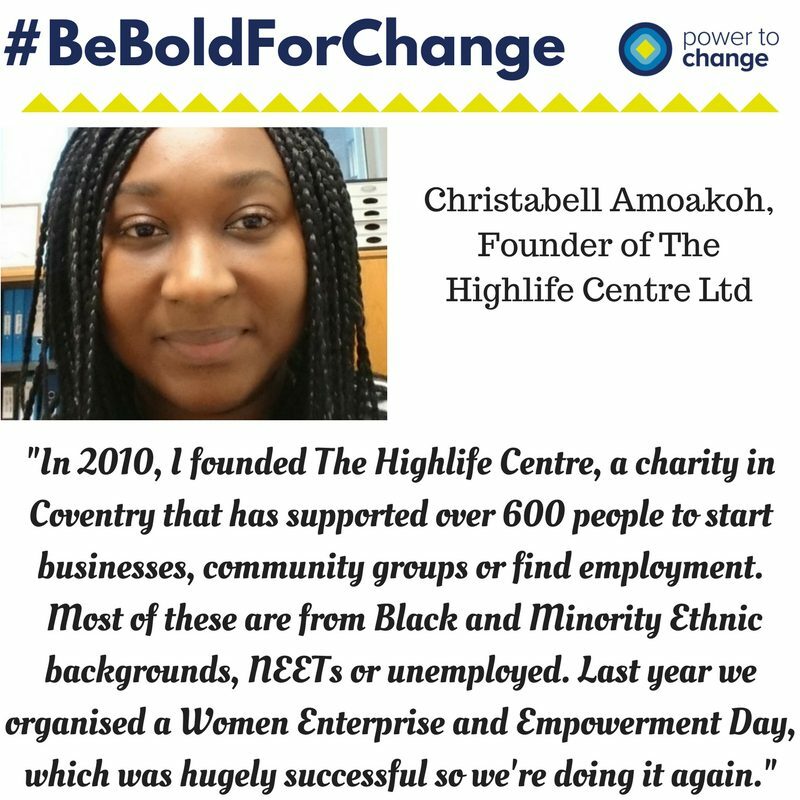 We’ll be sharing them on social media throughout 2017, to continue to celebrate women beyond one day of awareness. 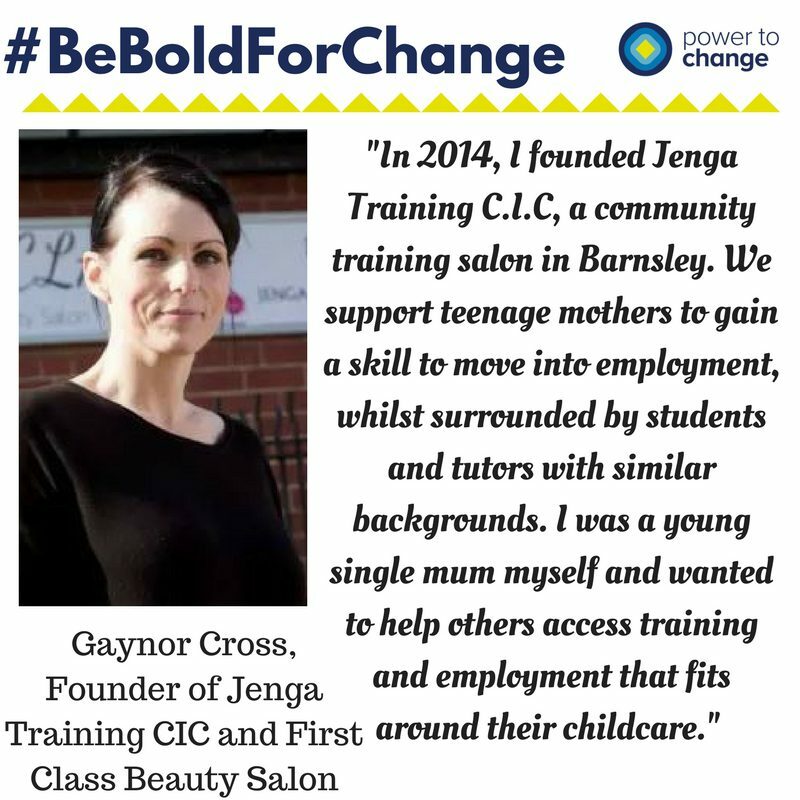 If you would like to feature in our campaign, get in touch. 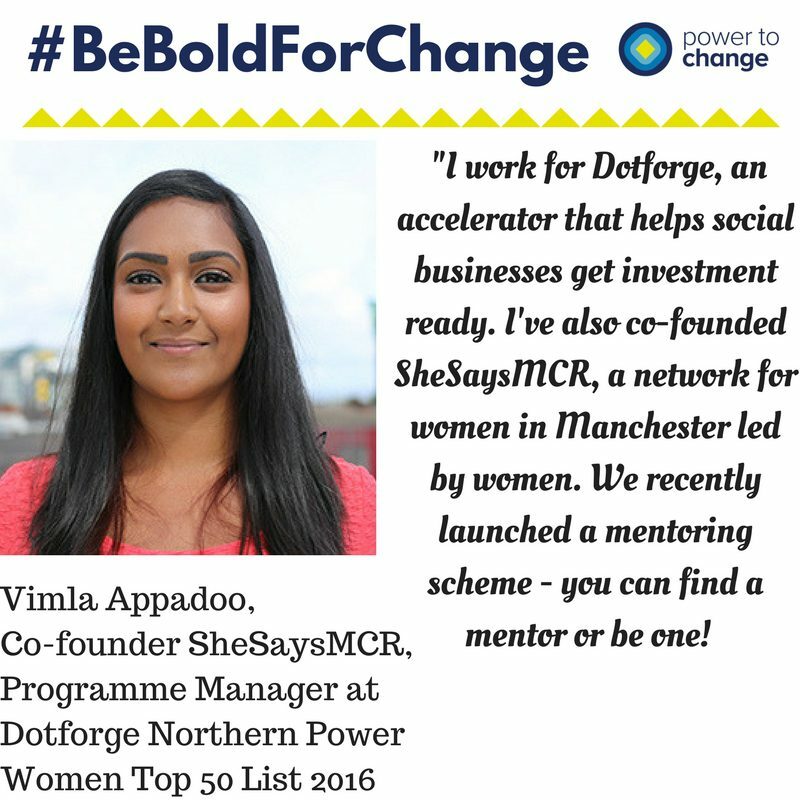 We’ll also be streaming live from The Angler’s Rest community pub tonight for the launch of their #BeBoldForChange mentoring scheme. 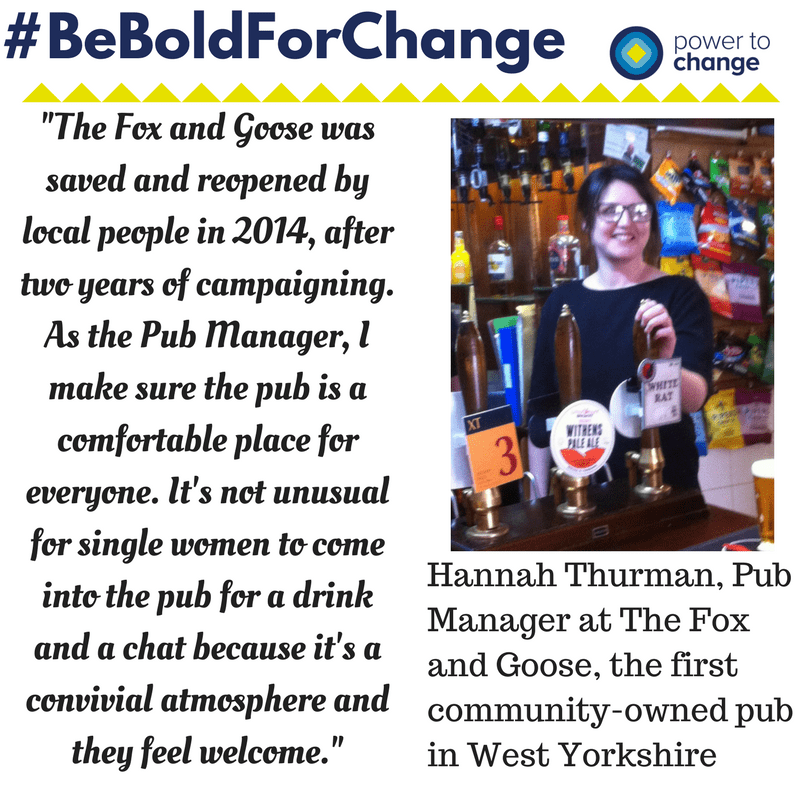 Join us LIVE at 6.30pm on the Power to Change Facebook for a behind-the-scenes tour of the pub, stories of inspiring women and some live comedy!